Staging your Savannah home to sell is always important and you’ve probably seen tons of blogs on how to go about it, but have you seen one that focuses on the bathroom? If not, it’s really too bad, because the kitchen and the bathroom are probably the two most important rooms in the house when it comes to hooking your buyers. 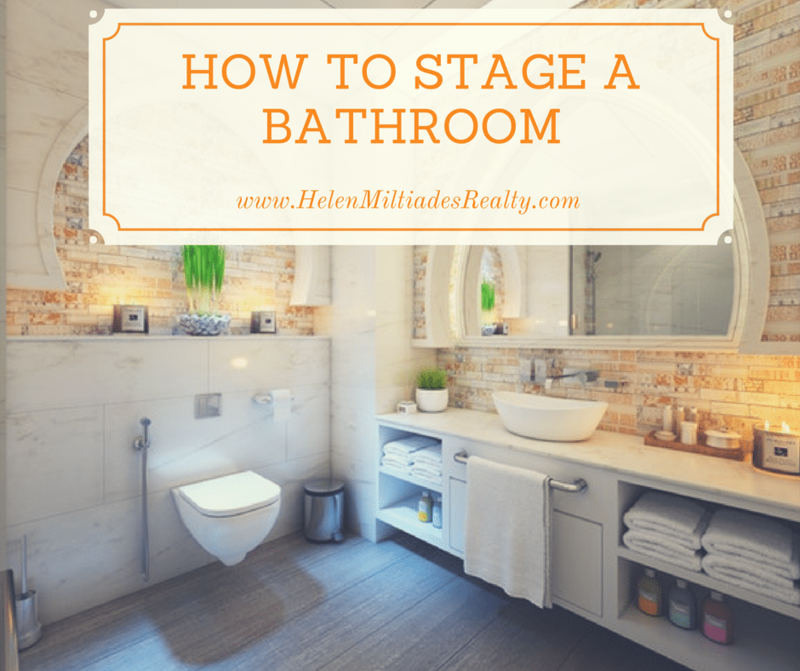 Therefore, here are some great tips for staging your bathroom to sell. Just as you don’t want to walk into your home after a long day at work and soak in a tub full of mold with a few well-placed spider webs overhead, your potential buyer doesn’t either. When potential buyers walk through your house, they’re envisioning themselves living there. Help them by making the scene a good one. 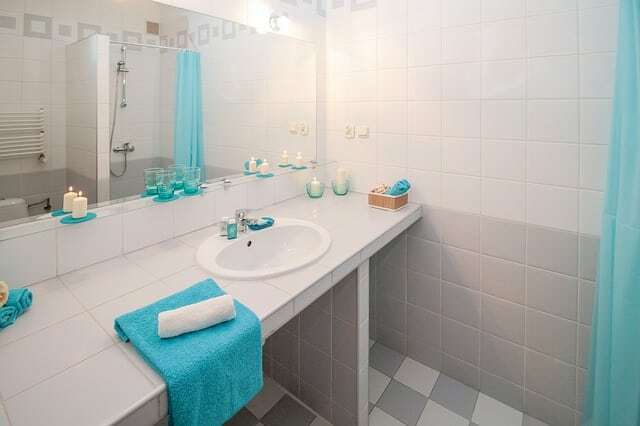 A sparkling-clean bathroom is perhaps the most important quality that will grab their attention. Devote a good day to scrubbing the floor and tiles, the toilet bowl, the tub, the sink, and throwing out everything that looks old and yucky. Additionally, get an effective air-freshener or candle to rid the space of residual odors. Use a caulk gun to fill in any cracks and gaps in the tiling. Wipe all mirrors, so buyers see their reflection, not your kid’s fingerprints. If you are still living in your home, it might be challenging to tuck away all of your personal care items. Place all toothbrushes, toiletries, and medications in convenient plastic shower baskets, so you can easily transport them out of the room if a new buyer is visiting. 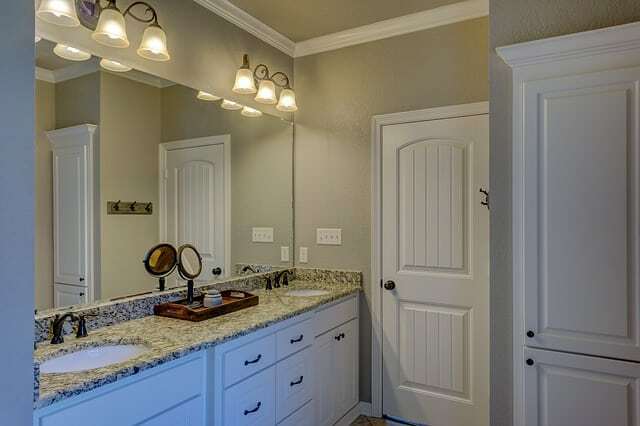 An empty and spotless mirror cabinet allows the potential home buyer to picture their own personal care products along the shelves and adds an extra feel of simplicity and cleanliness. Although the kittens with balls of yarn shower curtain are in fact, adorable, some home buyers may not see it that way. All your personal flair in your decor must go. When decorating, think more along the lines of a “hotel look”. Use neutral colors and luxurious or plush looking fabrics. Also, remove all dirty clothes and trash bins. 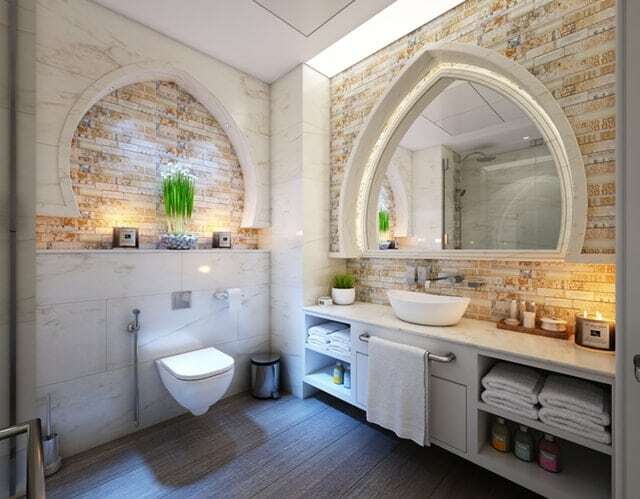 Staying along the idea of a “hotel look” or “spa feel” in your bathroom, add details to complete the look. Perhaps put a flower in a vase or set out a pretty scented candle. Also, consider putting out fancy soap.